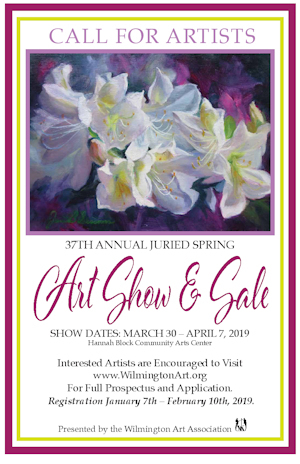 Each spring during the North Carolina Azalea Festival, the Wilmington Art Association (WAA) presents its annual Juried Spring Art Show and Sale. The WAA is a non-profit organization which seeks to educate members and the public in the fine arts, provide scholarship assistance to deserving college students and provide an outlet for emerging and professional artists. Registration for the 37th Annual Juried Spring Art Show and Sale is closed.